One of the exciting parts of developing a new service is testing the prototype with real users for the first time. And so it proved for our new penalty payments service. The service is being developed to allow those motorists who fail to tax their vehicles the opportunity to pay any penalties online. Currently they have to phone DVLA or send in a cheque by post. Previous research had shown that over 70% of motorists would prefer to pay the penalty online. Getting test users who have paid a penalty is no easy task. Less than 1% of motorists are non-compliant. However, a larger number of motorists may have paid a fine for speeding, parking and similar traffic offences. Our objective was to test how easy the service was to use and would they use it if they received a penalty from DVLA. 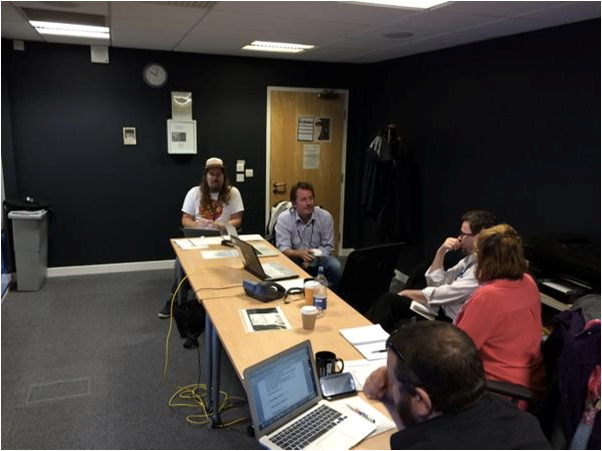 As the testing was carried out in DVLA’s new UX Lab, it was a great opportunity for the development team to sit in and watch the testing. As I walked in it was great to see Service Designers, business analysts, and the UX team discussing the first session. They had immediately identified that users did not understand that paying the penalty was not the only task they needed to complete. Whilst motorists may be penalised for not paying tax, and would willingly pay it, they didn’t realise they still needed to tax their vehicle or make a SORN. When I peeked in, the team were hard at work sketching how they could make this call to action clearer – did we hand them off to the tax service? Did we blend it in to this service? Or did we ignore it….. So engrossed were the team they ignored my offer of coffee! Cheap round!! One of the other emerging trends was the importance of the initial penalty letter. This is the type of service that is wholly reliant on all elements of the motorists journey. A motorist wouldn’t simply log into GOV.UK to pay a penalty without being prompted, well, you would assume! What was immediately apparent was the need for a re-design of the penalty letter. Feedback on this included “wordy”,“too long”, and “not clear what to do when”. So, in line with the feedback we will re-design, re-word and test again. It was also apparent that the name of the service (not yet chosen) would create some debate. Some motorists disliked the term “penalty” as it appeared quite punitive; however this is the legal term as it is not a fine, a term preferred by others. How we signpost the service and direct motorists to it will be critical. This again is where the initial letter design is critical. As will the advice we provide. For example what to do if you wish to challenge the penalty or have a query, including what support they need to use the service. So in summary this first session raised lots of questions and far more insight is required to develop what we hope will be a simpler and better payment service. The next step is to take the testing on the road. We will use this blog to keep you updated on progress.